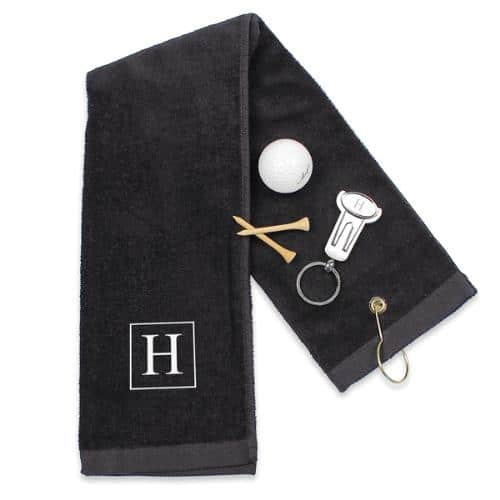 This stylish golf shoe bag is a great gift idea for the golfer who’s always losing track of his kicks. We’ll engrave the leather tag with initials or a name for no extra cost! After the back nine, kick back and store your kicks in the Personalized Waxed Canvas Golf Shoe Bag. Featuring a dry waxed canvas exterior, ventilation holes and breathable mesh sides, you’ll be the envy of every guy on the green with this bag in tow. We’ve also added a sturdy handle for carrying and a small inside pocket, so you’ll always have a place to store those spare tees in between games. 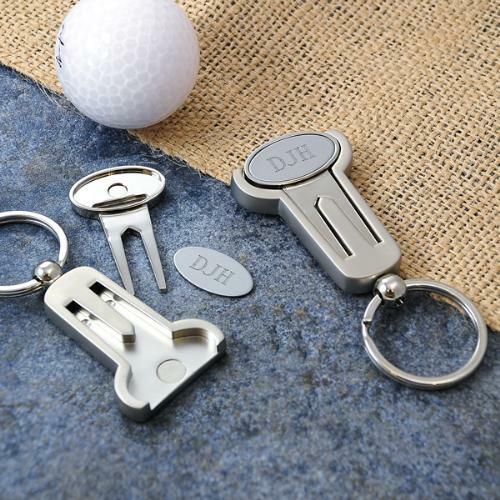 Add a free line of personalization on the front, and make this stylish and functional gift that much more special for the golf pro in your family or friend group! Dry wax canvas construction with faux leather accents. Small interior pocket for cash or cards. Ventilation holes and mesh sides to battle odor. Bag measures 7.75” L. x 5” W. x 15” H.
Pocket measures 4” L. x 4.5” W.
Handle measures 10” L. x 1” W.